computer supplies BOSS NOVUS . . . . . . the professional’s choice! We are able to offer an extensive range of computer supplies on a next day basis at extremely competitive prices. 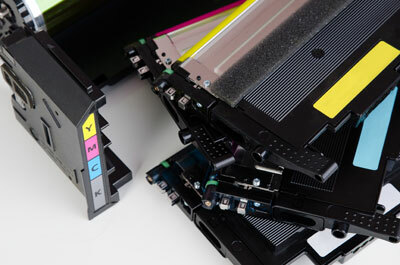 From inkjet cartridges and ribbons to laser toner cartridges and drum kits we stock hundreds of computer consumables for all makes and models. At BOSS NOVUS we strive to lower prices on all computer supplies using our unique market price checking system, which gives up to the minute pricing and instantly passes any savings onto our customers. You can search for your laser toner, ink cartridge or fax ribbon using the BOSS NOVUS Toner and Cartridge Search Facility. Browse either by Machine Brand and Model or if you know the product/manufacturers code you can use our keyword search facility. To access this facility please log on. We have exclusive access to the 5 Star range of inkjet and toner cartridges. These are remanufactured cartridges offering excellent page life expectancy with a 30% lower price tag than originals on toners and even higher off inkjets. All these products come with a lifetime ‘no quibble’ guarantee ensuring you are not at risk. Many of our clients have switched their printers onto the 5 Star brand with minimum risk and achieved huge savings. Please contact us to discuss the saving opportunity for your business.